Having grown up in an Indian family in England I’ve always had a keen interest and curiosity about the history of my Indian culture and religion (Hinduism) and more so the mysterious language of Sanskrit, as this is the language used in most of the ancient Hindu texts. 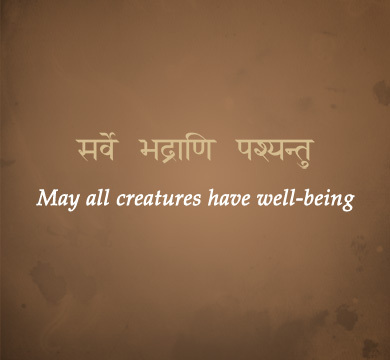 I have been learning Sanskrit for two years now and Saturday mornings have become a real treat at the end of a working week. Learning within the walls of St James School, a great educational setting for the rusty mind, helping it step into gear for learning, especially if like myself you have been out of formal education for years. What strikes me about the language is how attractive it is and how pleasing each letter is to the eye (I have printed many alphabet sheets to have them posted up around me at home). In these two years I have learnt to read, write and even speak in Sanskrit and, although still at the beginning stages of learning, I am amazed at how much I actually understand and have learnt in such a short period of time. 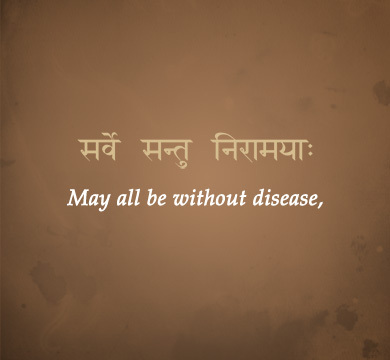 My love for learning languages is not the only reason I started and continue learning Sanskrit; it is also because the more I learn about it the more I like it. It’s a clever and methodical language, not easy to learn but intriguing and systematic too! Often in class I come across words that trigger memories of prayers I know or have heard. This is what I love being able to understand – the meaning and grammatical form of the words I’ve heard all my life but never understood. The course is not easy and requires daily commitment and hard work. It also requires a lot of memorising and I have found not only have I got better at memorising but the volume I am able to memorise has also increased. The set texts of the course are also what make it especially appealing. I had not read a whole verse of the Gītā before I came across it on this course and I am glad I have now learnt the Sanskrit beforehand. Verses of the Gītā are some of the last things we learn before the exam. The ability to recognise words and grammar of ancient verses is both exciting and liberating and for this I am truly grateful. Likewise, my understanding of my religion has deepened and I am able to comprehend concepts related to existence, self-realisation, nature and duty in a way I didn’t previously. The enjoyment for learning any subject for me and probably most students is dependent also on the teacher. Seeing the passion and dedication David has for Sanskrit keeps fuelling my curiosity and interest in the ancient language. His blunt humorous style and charisma are what make each lesson a joy, his patience and openness to suggestions and ever helpful nature (not to mention shaking us into gear when we need it!) make us as students extremely lucky and humbled to have him as our Sanskrit tutor. In addition to an inspiring tutor, the combination of different characters in class all united in our goal makes our group very comfortable and a lot of fun. 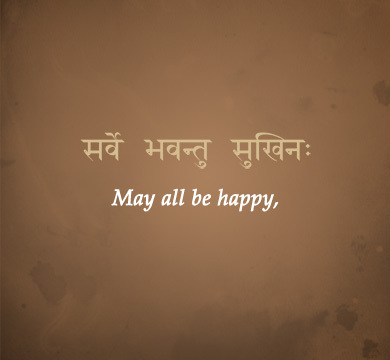 Each person inspires me to learn in their unique way on our paths together discovering Sanskrit. Finally, a great theme I often come across in Vedic philosophy is that of sacrifice, and the texts are abundant in examples and teachings of sacrifices and giving. Human lives are being given and have been given so much by nature, i.e. medicine, food, yoga and astrology. 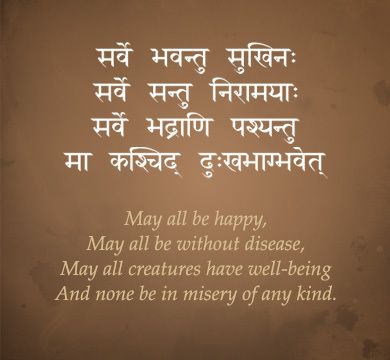 There is teaching in every aspect of our lives to help us on our journey towards self-realisation and I have come to see Sanskrit in the same way, a language that gives us so much more than just being able to read and write, probably more than I have yet to realise! For me it’s like a doorway to life’s greatest questions and just more evidence of the Higher Power existing in every aspect of our lives.